Whether caused by foot traffic or just long-term wear and tear, dingy carpet can really bring down the appearance of an entire room. 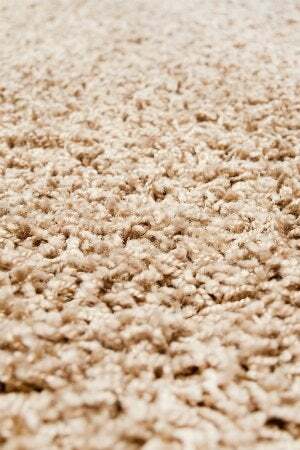 Get your carpeted spaces looking as good as new by using this homemade solution to get rid of stains and lingering dirt. The more you entertain, the more likely it is that you’ll have to deal with stains. A spilled glass of wine, a smudge of dirt—it’s frustrating to see stubborn stains on an otherwise clean carpet. But stains aren’t the only problem. You also need to worry about the effects of long-term wear and tear. Over time, it’s inevitable that carpeting will start to lose its brand-new sheen. 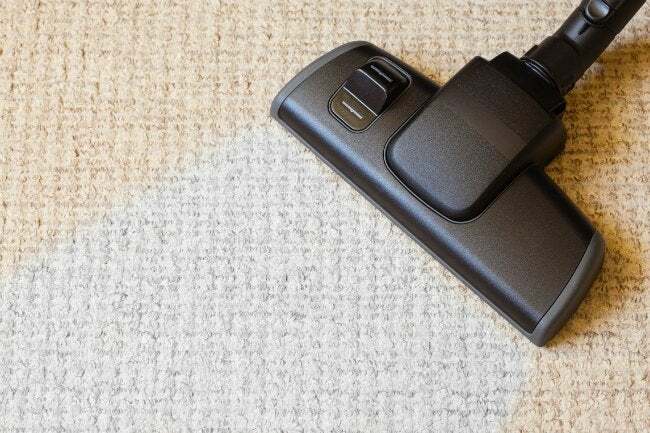 Before you spend big bucks on a heavy-duty over-the-counter rug shampoo, try whipping up your own homemade carpet cleaner and giving dingy areas (and errant stains) a good scrub. We’ve got the perfect recipe—all you need to do is set aside a weekend to concentrate on getting your carpeting truly clean. Pour 1 gallon of water into the pot and set it to boil on the stove. While you’re waiting for the water to boil, put on your rubber gloves and combine the liquid detergent, all-purpose cleaner, OxiClean, and fabric softener (if you opt to use it) in a large bowl. Wait a few minutes until the cleaning products have dissolved. (The OxiClean is typically in powder form, which means you may need to stir the mixture a bit.) Next, slowly add in the gallon of hot water. Be sure to pour it gently so you don’t create too many bubbles, which can lead to air pockets inside the homemade carpet cleaner. Next, pull out your carpet cleaning machine. (There are many models on the market, but if you’re not interested in investing in one, check with your local home improvement store to see if they rent out machines.) Transfer the homemade carpet cleaner to your appliance, following the instructions for the appliance. Keep in mind that the cleaning solution you’ve made already contains a fair amount of water, so you can use it at full strength in the machine. Before you start putting your homemade carpet cleaner to work just anywhere, test it out on a less visible portion of the flooring to make sure two things: that the machine cleans properly, and that neither the solution nor the machine damages the carpeting. Remember, carpets are made of different materials; you don’t want to worsen the stain or harm your carpet. Wait at least 24 hours for the test spot to dry to see the results. After you’ve checked the efficacy of the machine, run it over your entire carpet with the machine, paying special attention to stains and areas that look particularly dingy. Be careful not to use too much homemade carpet cleaner, because soapy residue can harm the carpet and too much moisture can lead to mildew. Just as you did with the test spot, wait at least 24 hours for your carpeting to dry, and then you’re done!